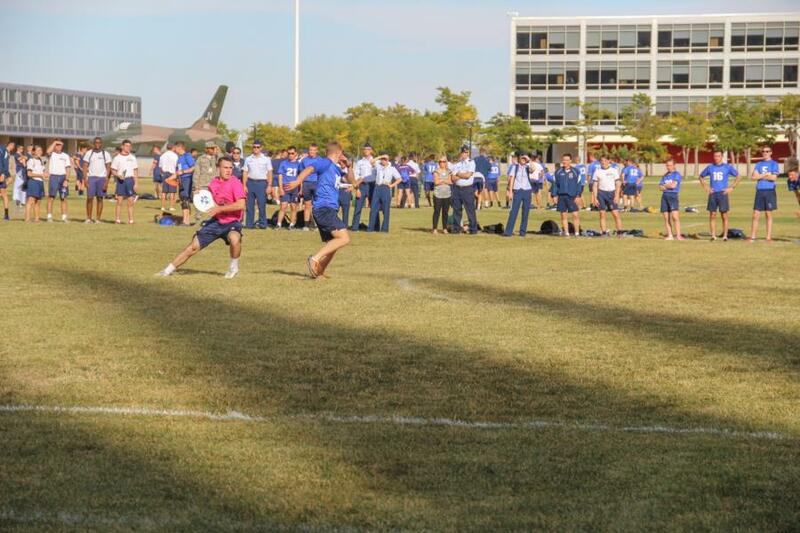 The current Go of Intramurals had their championships yesterday evening up on the Tzo. The sports this Go were Dodgeball and Ultimate Frisbee. 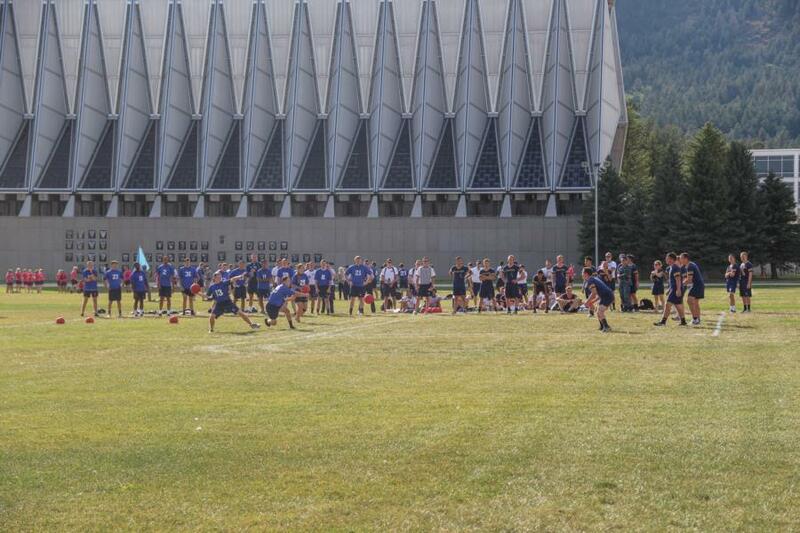 In Dodgeball the top two teams that played against each other were Squadron 4 (Fightin' Fourth) vs Squadron 27 (Thunderbirds) and the Fightin' Fourth won the Dodgeball Championship. 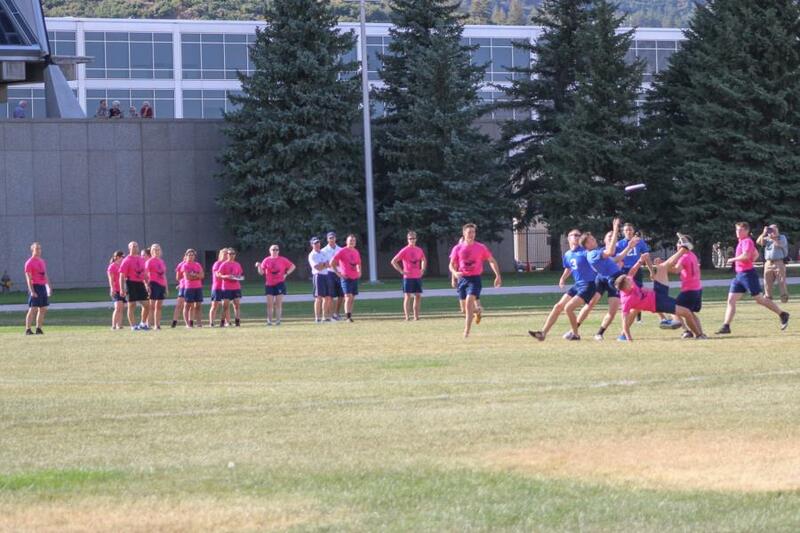 For Ultimate Frisbee it was Squadron 13 (Bulldawgs) against Squadron 36 (Pink Panthers) and the Pink Panthers won in the Ultimate Frisbee Championship. 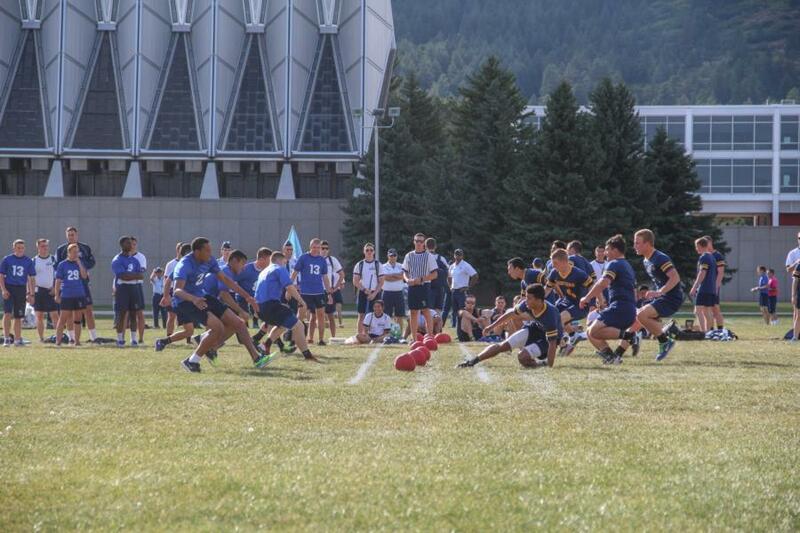 To see the rest of the pictures from the Intramural Championships go to Galleries - Extracurricular - Sports.